Audit object access → Define → "Success" and "Failures". Link the new GPO to OU with Windows servers: Go to "Group Policy Management" → Right-click the defined OU → Choose "Link an Existing GPO" → Choose the GPO that you’ve created. Force the group policy update: In "Group Policy Management" right-click on the defined OU → Click "Group Policy Update". 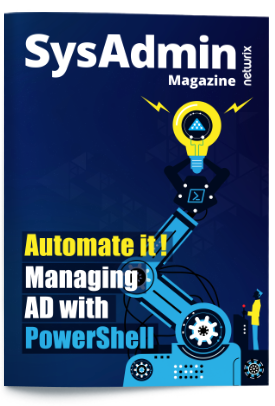 Select Applies to: "This keys and subkeys"
Select Advanced Permissions: "Create Subkey", "Set Value", "Create Link", "Write DAC", and "Delete". 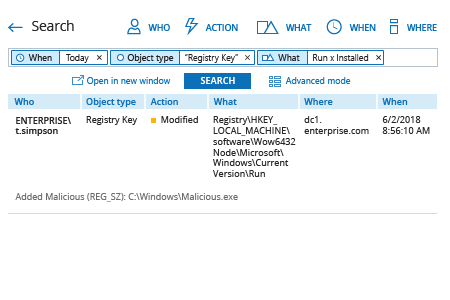 Open Event Viewer → Search security log for event ID 4657 (a registry value was modified). Click the "Search" button and review what registry keys were modified and who did that. From the search results, navigate to "Tools" → Click "Create alert" → Specify the new alert’s name. Switch to the "Recipients" tab → Click "Add Recipient" → Specify the email address where you want the alert to be delivered. 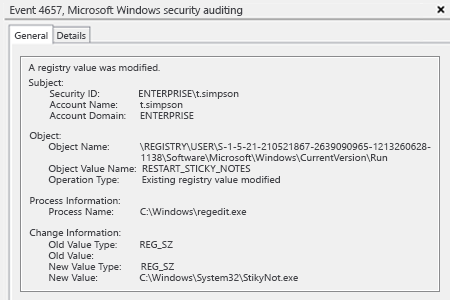 Suspicious changes in startup registry keys may be a sign of malware activity. For example, if a keylogger creates a registry key, this program will be launched by default every time the system starts. If it stays unnoticed and appropriate measures are not taken, there is a chance that users’ passwords will be stolen.